IEEE INFOCOM is a major ranked conference for researchers in the field of networking and closely related areas in the research community. 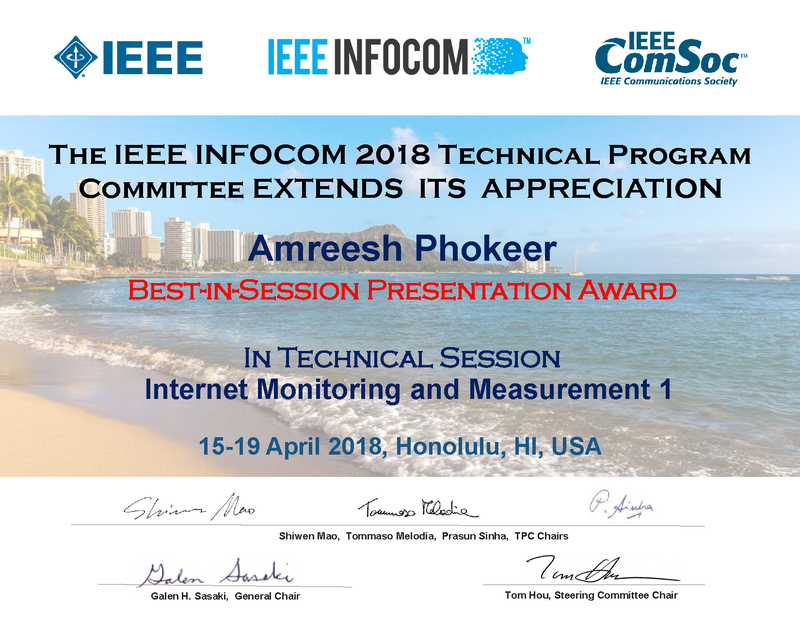 We are proud that to announce that Dr Amreesh Phokeer received the Best in-session presentation award at IEEE INFOCOM 2018! Amreesh received this award while presenting his work on Deep Diving into Africa's Inter-Country Latencies in the Internet Monitoring and Measurement section of the conference. Congratulations Amreesh for a prestigious accomplishment at a flagship conference such as IEEE INFOCOM !